1 How does steam cleaning kill fleas? Steam cleaning is a natural way to kill fleas that doesn’t use any toxic chemicals. Professional cleaners and exterminators use steamers as a way to clean houses of flea infestations. They do this because fleas can only withstand certain temperatures and can easily drown. Flea steamers are one of my preferred methods of getting rid of fleas. How does steam cleaning kill fleas? Fleas can easily drown during the steam cleaning process. Steam cleaning will not only drown the fleas but the high temperatures of the steam will kill adult fleas as well as larva and eggs. Adult fleas can die in temperatures above 95 degrees Fahrenheit and temperatures lower than 46.4 degrees Fahrenheit. Steam cleaners should continuously produce steam at temperatures between 120 and 170 degrees Fahrenheit. These temperatures are plenty enough to kill adult fleas as well as larva and eggs. Not only can you use flea steamers to kill fleas in your carpet but you can also use them to kill fleas in couches, pet beds, and cars. A flea steamer is a great thing to have around all the time if you have pets. Can be used as a house cleaner as well as a flea killing machine. Can rid your couches and car of fleas. 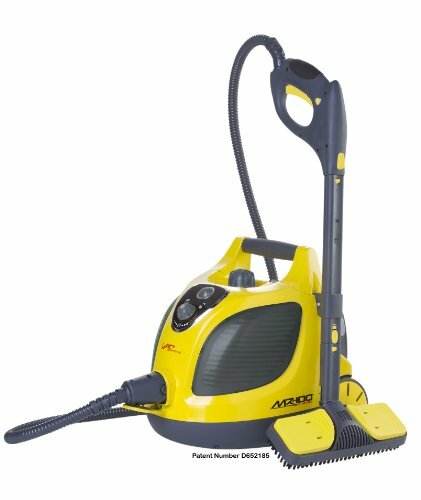 Steam Penetrates carpets and kills fleas that you cant see and wont be able to vacuum up. Steam cleaning doesn’t use any harsh chemicals. Using harsh chemicals can be hazardous to pets, and children. Chemicals may also damage furniture and carpeting. Steam cleaning is safe and if used properly will not damage furniture. Kills flea eggs, and larva as well as adults. Removes a flea infestation incredibly fast and prevent infestations in the future if used frequently! Not all flea steamers will work. Some steamers are cheap and don’t reach the needed temperatures. These steamers may not produce a continuous stream of steam, instead they will produce it in small burst. You need a continuous stream. Check out our buying guide below to find the perfect flea steamer for you. Steam is hot- That means it can burn you so be careful. This seems obvious but some people don’t think about it. Steamers should be used before spraying chemicals. Never use a steam cleaner after spraying! If you use a steam cleaner after you spray chemicals it can cause the chemicals to vaporize and go airborne. That is very hazardous to your health. Steam and electrical outlets don’t get along well so avoid spraying your flea steamer at a electrical outlet. If you manage to spray the steamer at an outlet you may be in for a shock. See what I did there? Buying a steamer that works properly can be difficult because there are so many different steamers on the market. Not all of these steamers are going to be efficient at removing fleas. This is why we’ve made a buyers guide designed to help you find the right flea steamer! Having to continuously refill the water in your steamer becomes time consuming and irritating. 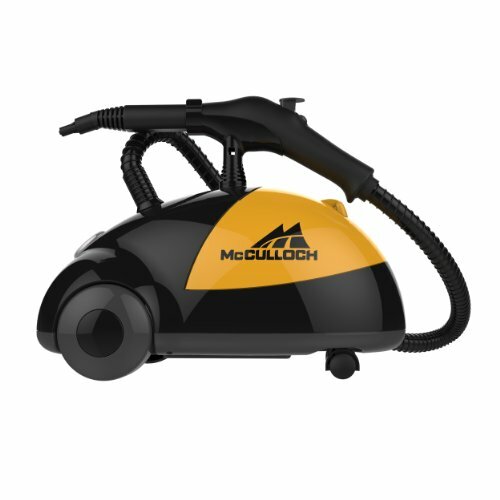 This is why when looking for a flea steamer you should look for one that has a large capacity. A steamer with around 1.5 liters (half a gallon) of water will work. This will give you about an hour of steam. You need to keep in mind that steamers that hold less water aren’t as expensive but more water means less fleas. While you’re filling up your steamer with more water the fleas in your house will be moving around. They could move to areas you’ve already steamed making it more difficult for you to rid your house of an infestation. Though they may be expensive you should try to get a steamer with the highest capacity you can afford. Trust me it will pay off. Too much steam can cause mildew, and too little steam isn’t effective. This is why you need a dry steamer. Dry steamers produce about 5% water volume in steam. This is just enough steam to penetrate carpet, and furniture to kill fleas. This will still give everything time to dry along with preventing mold and mildew. The temperature your steamer produces steam at is vital to eliminating steam. If it isn’t hot enough it won’t be able to kill the fleas and accelerate the hatching of eggs. The steamer should produce steam at a constant temperature of 120 degrees. With so many steamers for sale it’s hard to find a steamer that consistently produces steam at a temperature of 120 degrees. If your steamer doesn’t produce steam consistently then it could miss spots where fleas are. This will only make it more difficult for you to rid your home or vehicle of an infestation. The number of attachments that come with your steamer can be important. Fleas can hide in hard to reach places like under your bed, and small cracks and crevices. There are also a few different steamer heads that can be used for different things such as clothes, carpeting, furniture. Who doesn’t like to play around with different attachments anyways? Heres a list of our top 3 recommended flea steamers. We are providing a list of steamers because with so many steamers out there it can be difficult finding the perfect steamer. These steamers are the best possible steamers we could find for you using our buying guide and consumer reviews.